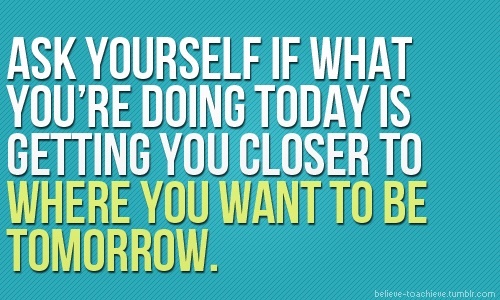 Monday is the best day to get motivated to do some good with the rest of your week. Guess what? You have a brand new week ahead of you to slay dragons, achieve goals, sweat more (literally, thanks DC), gripe less and ditch the fear. Are you ready? Let’s do this, Monday! After a busy day, I took a break to take the “What State Do You Belong In?” test on Buzzfeed. 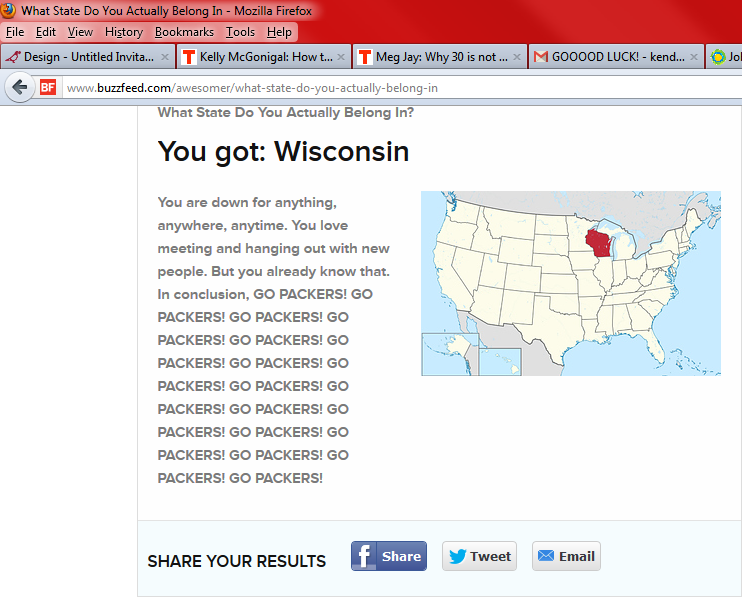 With no surprise, I got Wisconsin! Check out the test. I am interested to see what your results are and if they are as accurate as my results.